Hey there! I have said it before and I will say it again, I am an ENORMOUS fan of MAC's pressed pigments. I owned Flicker and loved it so I decided to add Pink Pepper to my collection. I read online that it was a coral-type color, which instantly hooked me. I seem to be drawn to anything coral these days! As summer comes to a sad, sad, SAD, end, I start to think (as any normal person would)..what to do with my summer colored eye shadows?! That thought is what inspired these two makeup looks. 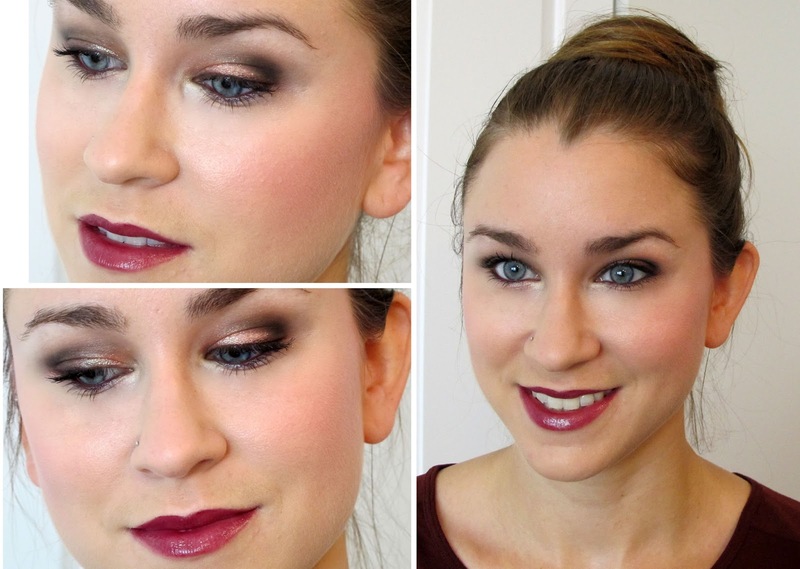 How to turn a very summery shade into a Fall appropriate look! Check out my Summer inspired and Fall inspired looks! Stay tuned to the end for BLOOPERS! Thank you Sarah! Which one is your favorite? Loved the tutorial! The dark lips look great on you. I really like that dark red lipstick! Definitely perfect for Fall! I should get one like that too! Khloe Kardashian Inspired Purple Smokey Eye!